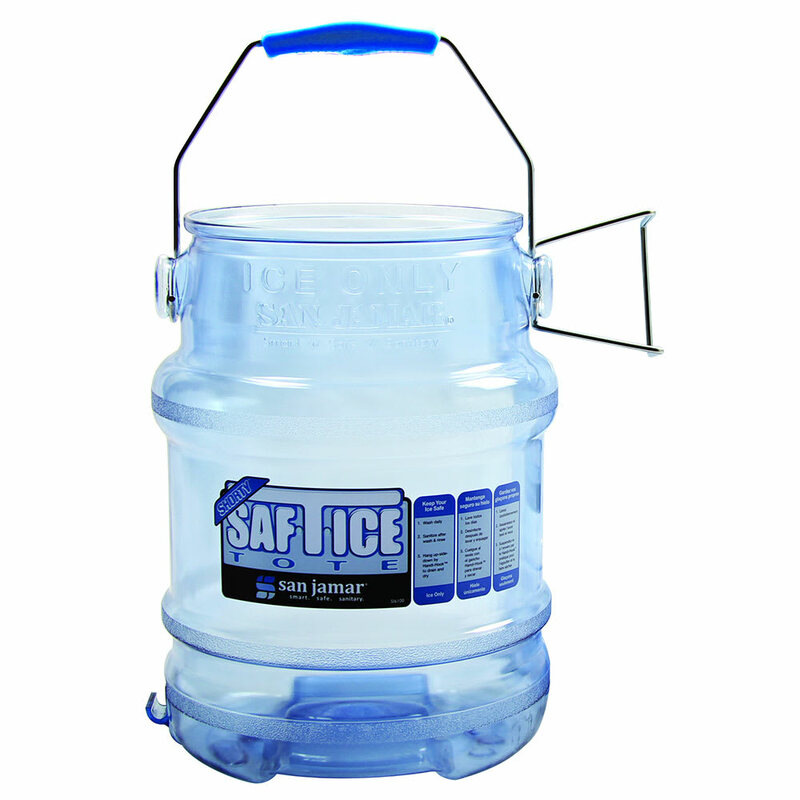 This San Jamar SI6500 Saf-T-Ice tote provides a safe and sanitary way to transport ice from an ice machine to an ancillary bin or service area. The tote's unique HACCP Hanger helps reduce operator strain and reduce the risk of injuries when staff lifts and carries full totes. 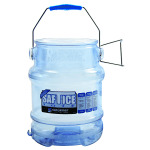 The Tri-Grip handle gives users complete control over emptying the 6-gallon San Jamar Saf-T-Ice tote.